Ireland captain William Porterfield batting during Ireland’s first test against Pakistan. Following the completion of their inaugural test match and with a historic visit to play England at Lord’s in 2019 confirmed, David Whelan talks to Cricket Ireland chairman and ICC board member Ross McCollum about the transformation of the sport currently underway in Ireland. 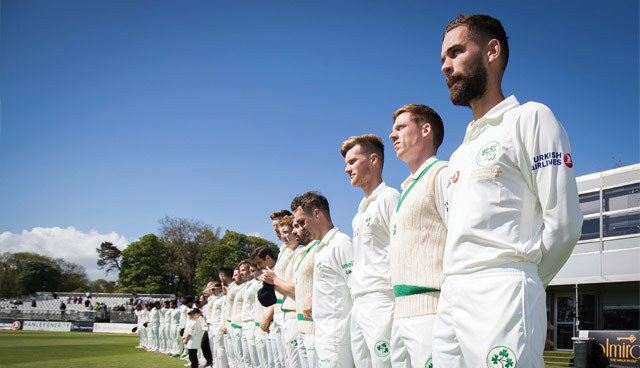 In June 2017 the granting of test status for Ireland was the culmination of a long and hard fought ambition for Cricket Ireland, the national governing body for the sport for the island of Ireland. The decision was never a forgone conclusion and even up to the eleventh hour the complex politics of cricket governance still threatened to stand in the way of the decision that could transform the sport for future generations. Largely down the pecking order of popular sports in Ireland, cricket has undergone a re-emergence since 2007, mainly thanks to successes on the pitch by the men’s and women’s senior teams. A victim of class perception and politics in the last century, the sport retains deep roots throughout Ireland, where it was first played in 1792, when the military of Ireland and the gentlemen of Ireland faced up against each other in the Phoenix Park. However, it would take until 1980 for Ireland to play its first competitive national fixture and until 2005 for the cricket world to sit up and take notice as Ireland qualified for its first ever World Cup. Ross McCollum has been one of many within a team at Cricket Ireland who has helped drive the lofty ambition first defined in their Strategic Plan 2016-2020 of Ireland becoming a test nation by 2020. The chairman, who has been in place since 2012, is modest about his role in securing the ambition two years early, when, along with Afghanistan, Ireland became the 11th and 12th full members of the ICC, the first new admission since 2000. 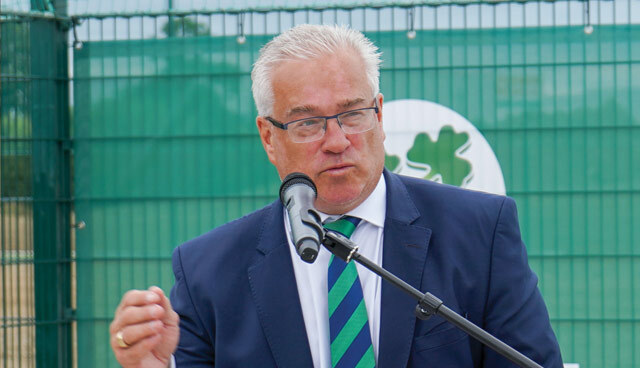 Cricket Ireland Chairman Ross McCollum speaking at opening phase one of the new High Performance Centre at the Sport Ireland National Sports Campus in west Dublin. A figure steeped in cricket, McCollum played for his home club of Lurgan Cricket Club and in Irish under age sides before going on to be capped three times for the senior team. He admits that Irish cricket is a completely different beast now to when he made his debut against Gloucestershire in 1998. Just as to how he found himself part of the administration overseeing the greatest transition in Ireland’s history is somewhat amusing, considering he previously showed no ambition to involve himself in such a role. “I didn’t have any intention of getting involved in the administration side of cricket but I might have been quite vocal about some of the decisions that were being made. I was approached to put up or shut up, so that’s what I did,” he laughs. Involve himself McCollum did, and in 2016 he won out of a “cut throat” experience to be elected to the ICC board, representing the world wide Associate and Affiliate countries at the Board of the ICC. Serving as a representative of then 95 associate members, including Ireland, he set about establishing his voice amongst the power base of international cricket’s decision-making. “What was frustrating was even though you represented 95 associate members, I still didn’t have a vote,” he exclaims, pointing out that he was a supporter of seismic governance changes within the ICC which have occured in recent years, including an increase of votes on the ICC board to include three associates. The granting of Ireland’s test status in 2017 meant that McCollum’s role switched to focus solely on Ireland, who now occupied a full member place on the board as right. The chairman denies that his influence within the ICC was the sole factor in Ireland’s award of test status, pointing out that work towards the achievements has been longstanding and predates his involvement, but he does accept that his closeness to the sphere of influence was a major factor in getting it across the line. However, he is also keen to stress that whilst familiarising and navigating the intricacies of cricket politics has been an important factor, such an achievement would never have been possible without performances on the pitch. Ireland’s emergence on the world stage of cricket can be plotted from 2007 and their first appearance at the ICC Cricket World Cup. Against the odds, Ireland beat Pakistan and Bangladesh and tied against Zimbabwe. By the end of the tournament, Ireland ranked 10th in the world, the first time ever an associate outranked a test-playing country. That same year, Ireland won the ICC Intercontinental Cup Trophy (the 4-day competition for the top associates) for the second year in succession, confirming Ireland as the top country beneath test level in both forms of the game. Subsequent performances at the 2011 and 2015 Cricket World Cups further consolidated Ireland’s credentials as an emerging force, defeating England and the West Indies respectively along the way. Irish team celebrate a wicket. 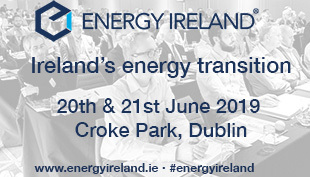 Competitiveness and the commerciality of that competitiveness has been the catalyst of Ireland’s transition. Securing full membership ensured a greater demand for Irish cricket and in November 2018, Cricket Ireland signed its first multi-year media rights deal that will see broadcast rights for its four-year programme of international men’s cricket shown around the world. “It’s huge because it guarantees income for the next four years on an annual basis and allows us to budget further ahead,” states McCollum. “Previously this was a difficult task because we didn’t know who we were going to play or how many games we would have had. “It has also brought with it its challenges for us as an organisation in regard to the structures and the governance that we needed to put in place,” he adds. Financially the move was huge for Ireland. Twelve years ago, the financial turnover of Cricket Ireland was around £250,000, compared to 2018, when it was close to £10 million. Of this £10 million, Ireland self-funded close to 50 per cent, a measure which offered a degree of security if ICC funding was to ever decline. McCollum states that the ambition is to raise that turnover to over £15 million in the next three to four years to further their ambitions. The outworkings of greater financial security have been in additional resources for player contracts, infrastructure investments and investment in youth cricket. Cricket Ireland has, since 2013, invested significantly in the development of its youth pathway structure, which has included establishing the Shapoorji Pallonji Cricket Ireland Academy and launching the Ireland Wolves programme. In December 2018 they were able to offer 19 central player contracts for 2019. In the same month they announced that professional contracts will be awarded to some of their female players for the first time. McCollum outlines that this is a major step forward for a successful women’s team, who recently returned from the T20 World Cup, and whom previously had made “great sacrifices” to represent Ireland. 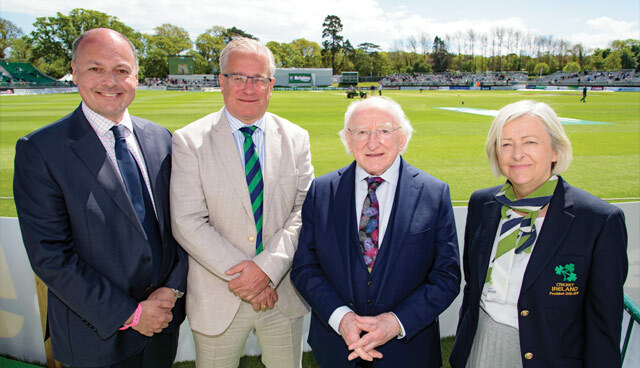 Cricket Ireland CEO Warren Deutrom, chairman Ross McCollum, President Michael D Higgins and president of Cricket Ireland Aideen Rice. As a result of their performances, the board of Cricket Ireland has recently endorsed recommendations and funding for the development of a new strategy for girl’s and women’s cricket in Ireland. He admits that circumstances have previously seen a prioritisation of funding into the men’s senior team but now signals the intention to diversify resources into its women’s and youth structures, including the Ireland Wolves team, created in 2017 to bridge the gap between domestic first class and international cricket. Investment in the Wolves programme is particularly important given the transition the Ireland senior men’s team is currently ongoing. In failing to qualify for their fourth successive Cricket World Cup in 2018, the team signalled what many had already feared, that Ireland had experienced a golden era between 2007-2015. However, McCollum is confident that Cricket Ireland’s current approach will bear fruit in the coming years. None more so were the efforts of that golden era more recognisable than during the “momentous” occasion of their inaugural test match in May 2018 in Dublin against Pakistan. Originally rained off on the first day, Ireland largely contained the full member side until the latter stages of four excellent days of cricket. However, whilst the game against Pakistan was a significant milestone, it was the announcement that Ireland will play England in a four-day test at Lord’s Cricket Ground this July that grabbed the attention of those within and outside the sport. 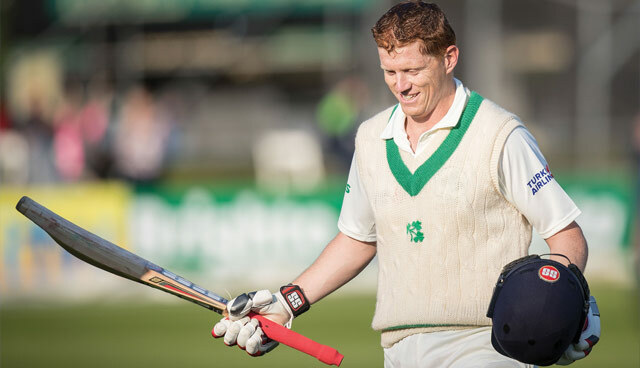 Kevin O’Brien celebrates hitting Ireland’s first test century. McCollum believes that such a fixture demonstrates the growing status of Ireland as a front-line nation in the world game. However, he is aware of the body of work that remains for Cricket ireland if the teams are to remain competitive across all levels. “The growth of cricket in Ireland at all levels in the last 10 years, and Ireland’s elevation to full membership of the ICC, has highlighted our sport’s deficit in training infrastructure,” he explains. Ireland’s elevation to test status led to the creation of a new high performance training centre at the National Sports Campus in Dublin, with a second phase due for completion by 2020. Cricket Ireland has also revealed plans to develop a new permanent national stadium in west Dublin. The board voted to pursue the creation of a new national cricket stadium at the National Sports Campus. All of these investments, it is hoped, will equip future generations of cricketers to continually grow the sport both within Ireland and Ireland’s reputation on the global stage. Developing a succession plan for young talent is an important tenant of this growth and McCollum points to closer and more effective working relationships with the provincial unions as a positive step. Looking to the future, McCollum agrees that his list of ambitions is extensive. As well as the financial ambition to grow turnover to over £15 million in the next four to five years, he would hope that on the field the senior men’s team can improve their record of ODI cricket and T20. He also believes in the need for more contracts for the women’s side and inter-provincial contracts. “We also need to finish our facility in Abbottstown, progress with the national stadium and to progress with facilities around the rest of the national grounds,” he says. “So, there are lots of challenges ahead but sometimes I think that it’s important that we reflect on the journey we have been on.